If you’re in the planning stages of a historical renovation, we’re confident that you can appreciate the difficult – almost Herculean – task ahead of you. It’s nearly impossible to know the levels of damage that the beautiful facades of many historical buildings are hiding. Whether it’s dry rot, flood damage, mold, or mere cosmetic damage, a myriad of things can be – and go – wrong. That’s why the team at Wharry Engineering always recommends seeking the advice of an expert, somebody with experience in historical renovations who has the ability to assess your situation and make helpful, cost-saving recommendations. In today’s post, we’re going to look at why you should contact our team before proceeding with your renovation. In time, all things change. The building materials used in the 1930s are vastly different from the building materials that we use today. An expert in historical renovations can help you choose materials that preserve the historic look of your building without compromising its safety, security, or longevity. In addition to materials, building codes have evolved throughout the years. During a renovation, you need an expert on hand who will always keep these codes in mind, somebody who can help you ensure that your project adheres to all relevant codes. 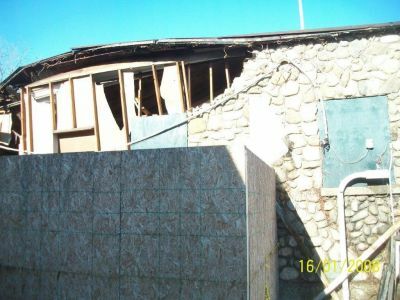 Only an expert can tell what is cosmetic damage and what is structural damage. It’s easy to see a beautiful façade and believe – hope – that the damage done to it is cosmetic. It’s natural to want to preserve the building’s natural beauty. But, without a proper assessment, you could be ignoring critical structural damage that threatens the integrity of your building. If you’re starting a historical renovation, we encourage you to reach out to us today to discuss your intentions, your long-term goals, and the details of your project.